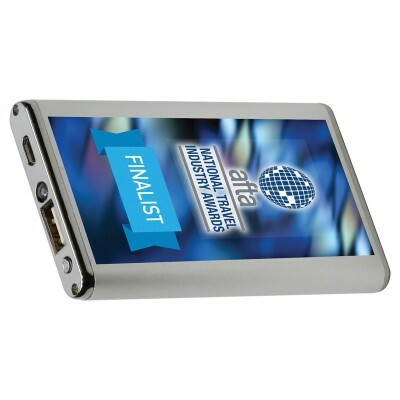 Slim and lightweight aluminium design with contrasting trim, this power bank with LED torch provides 4000 mAh, A Grade Lithium-Polymer battery. Features include built-in protection functions to stabilise the output voltage and prevent over charging or short circuit. Suitable for charging most electronic devices including smartphones and tablets: iPhone, iPad, Samsung, HTC, Blackberry and Nokia. Includes a USB to Micro USB charge cable and user manual.